Thank you for considering us as the Host Site for your event. The Sales, Conference Services and Catering Department will achieve your vision by creating a once-in-a-lifetime experience that attendees will long remember. Angus Glen’s most recent Canadian Open was contested on our North Course and provided countless thrills and excitement. From Hunter Mahan’s opening round 62 that included 2 eagles from the fairway, to Jim Furyk’s phenomenal final round, where he aced the par 3 fourth hole. 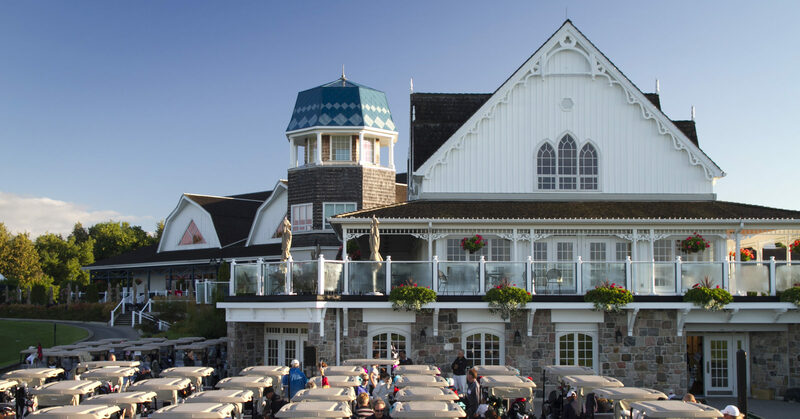 Angus Glen is the only golf club in Canada to host a national Championship on each of its golf courses. That’s a distinction we are very proud of and one you can pass onto your guests. No matter which course you play at Angus Glen, the Pro’s have tried their luck there too. Angus Glen’s strength is catering to corporate and charity events. Our goal is to ensure that every guest entering our doors leaves at the end of the day with a wonderful and lasting experience. Every event at Angus Glen is assigned a Tournament Coordinator. They will assist you every step of the way. The professional staff are readily available to help plan your meeting or event, schedule meals, and arrange any extra-curricular activities you may wish to include in the program – ensuring your event is a huge success. From the latest in event technology to elaborate decor and unique entertainment options, your every requirement will be met with the utmost expertise and satisfaction. Angus Glen is proud to be the recipient of the Best Service Award in Canada at a Public Facility year after year since we opened our doors. Our courteous and award winning staff look forward to making the day enjoyable for you and your guests. Open all year round, the Angus Glen facilities are the perfect place to hold business meetings, celebrations, conferences, or holiday parties. The Angus Glen GPS Advertising system elevates your tournament for the golfer and provides another level of sponsorship increasing revenue potential for your event. A Leader Board appears automatically every hole when utilizing the GPS scoring system so players can see their standing in the tournament in real time! Click here to view our GPS Advertising Package.